If you are looking to purchase the portable and simple exercise machine for your personal use, then the best store to shop such product is the official franchise of the Telebrands PAKISTAN. 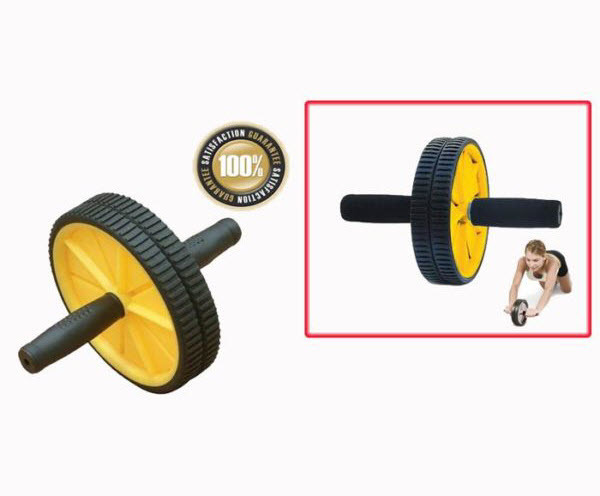 The name of the product is an AB Wheel Workout Roller. The AB Wheel Workout Roller, as the name clearly indicates, is a top of the line Workout Roller that helps to target the different muscles of the body, including the ABS, Arms, Shoulders, Thighs and so on. The AB Wheel Workout Roller is the simplest exercise machine that helps to target the core muscles of the body with minimal possible time and effort. The AB Wheel Workout Roller helps to tone the muscles of all the major parts of the body. The overall method of using the workout roller is quite simple, easy and requires less physical effort in total. All you have to do is to first hold the grip of the roller with your both hands and then try to lean and slide your body to and fro motion. Try to cover the maximum distance during the exercise. The AB Wheel Workout Roller is an ideal exercise machine designed for all those individuals who don’t find enough time to get to the gym for several reasons. If you want to purchase this versatile exercise machine, then all you have to do is to dial the number 0333.4115583 from your landline or mobile number.